As the summer is halfway over, the realization has hit that I’m going to have a kindergartener this year! Which means I’m in desperate need of some simple hairstyles for school, because I already know we are going to be rushed in the mornings! As I’m sure there are many other moms in the same boat, I’ve decided to post the hairstyles that I learn how to do and compile them all into one giant post for all of us to reference from! So if you are also in need of some simple hairstyles for school, keep an eye out! There’s more little girl’s hairstyles to come! 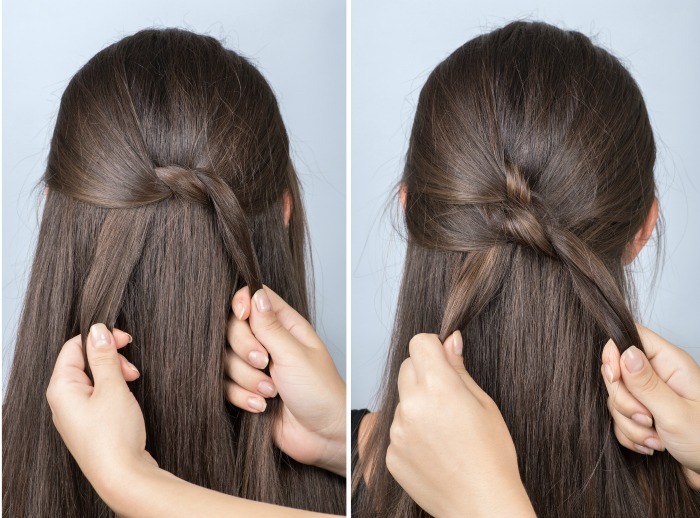 And if you missed the last one, check out this simple half braid tutorial that is not only super cute, but takes seconds to do! Step 1: Start with one strand on each side. Loop them one time (like the first step of tying a shoe lace). Step 2: Grab another strand from each side and add it to your previous strands. Pull tight, and repeat Step one. Step 3. Continually add additional strands with each tie, and pull tight. Step 4. 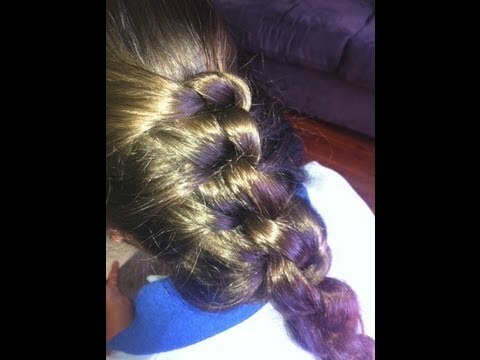 You can tie off the end with an elastic and leave it as a ponytail, or you can tuck the ponytail underneath and pin. AND THERE YOU HAVE IT! 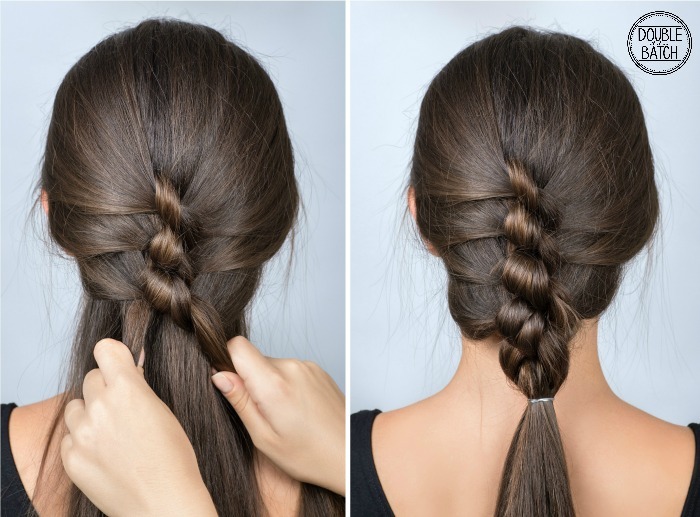 One more style to add to your simple hairstyles for school! YOUR TURN! 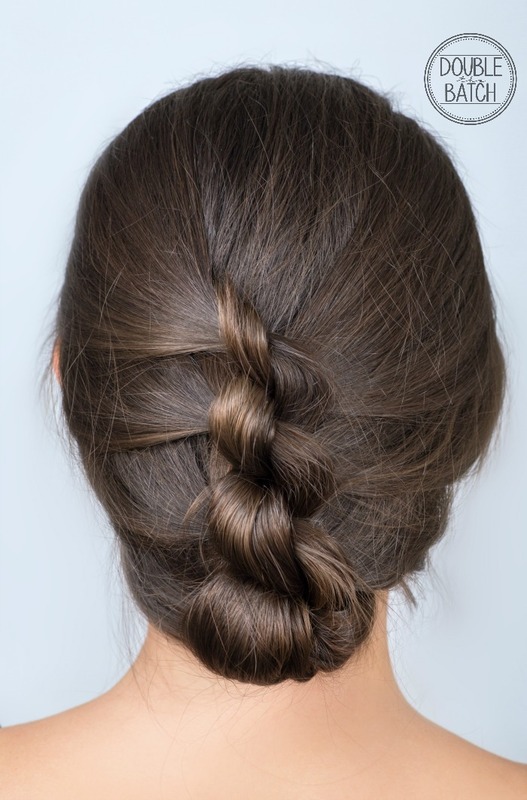 What are some of YOUR favorite simple hairstyles for school mornings?